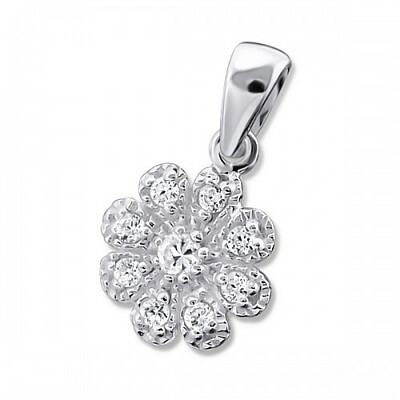 A perfect lifelike daisy created in silver and cubic zirconia using nine CZ that have been hand-set. Size: 1cm. Silver weight 0.8g. Threaded on a 46cm/18” Sterling Silver chain.